Looking for top quality painters and decorators in Leeds? If you've searched for 'painters and decorators Leeds', then please call us with absolute confidence. Every member of our painter and decorators team is fully qualified, highly skilled and offer a huge amount of experience in all aspects of the trade. We’re clean, tidy, friendly and thorough and attention to detail is at the forefront of our minds. We provide all customers with free, competitive and no obligation quotes and will always try to work at a time which is most convenient for you. 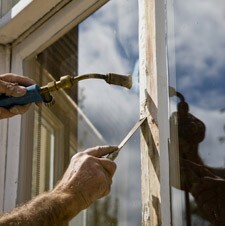 With us, you can be absolutely assured of an excellent finish, no matter what you ask us to do. If you would like to take advantage of our painter and decorator services, would like a free estimate, or have a query that needs answering, please call us on Leeds 0113 370 8828.